Alice M. Schmit, 100, of Findlay, formerly of Delphos, passed away on Monday, October 8, 2018, at the home of her daughter and son-in-law in Findlay under the care of Bridge Hospice. 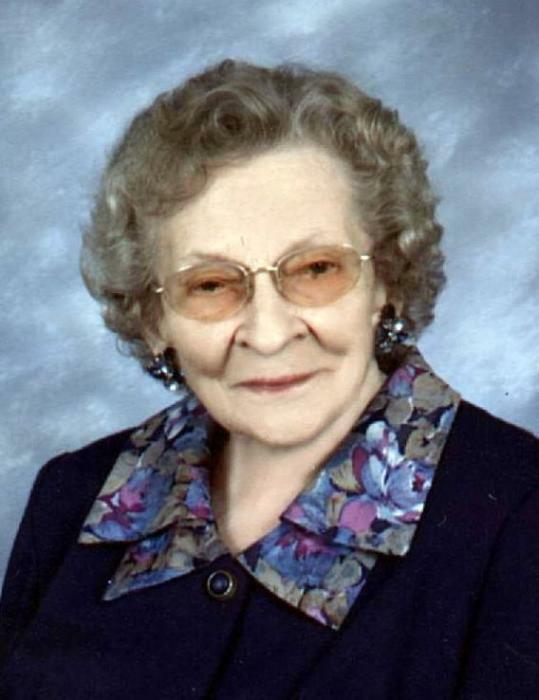 She was born on January 8, 1918, in Delphos to Carl J. and Louise P. (Schwartzengraber) Lindeman. They both preceded her in death. On June 20, 1946, she was united in marriage to Jerome M. Schmit. They were married 62 years. He preceded her in death on June 4, 2008. Alice is survived by one daughter, Elaine M. (Larry) Webb of Findlay; two sons, Dr. James T. “Jim” Schmit of Celina, and Dr. Arthur M. “Art” (MaryAnn) Schmit of Grove City; one sister, Dorothy Reagan of Findlay; five grandchildren, Sara (Aaron) Kriegel, Charlie (Uni) Webb, Fr. Ryan Schmit, Scott (Nikki) Webb, Angela (Erik) Langanke; and four great grandchildren, Mason Kriegel, Easton Webb, Allison and Logan Langanke; and a brother-in-law, Alfred Schmit. She was preceded in death by a sister, Mary Wellman; an infant grandson, Christopher Schmit; a daughter-in-law, Susan Schmit; brothers-in-law, Harold Reagan, Rev. Arthur Schmit, Rev. Earl Schmit, Robert “Bob” Schmit, Eugene Schmidt and Gilbert “Gib” Wellman; and sisters-in-law, Sr. Mary Alfred, SND, Mary Ella Schmit, Patricia Schmit, and Viola Schmidt. Alice was a graduate of St. John High School and attended Northwestern Business College. She was an active member of Delphos St. John the Evangelist Catholic Church where she always worked at the church fair, and attended daily Mass. After moving to Findlay, she attended St. Michael Catholic Church. She worked from 1936-1946 at The Bending Company as secretary and later at Schmit’s Market in Delphos where she worked with her husband, Jerome; and Bob and Alfred Schmit. She loved playing bridge, and participated in a bridge club, The Bridge on Wednesdays. She was also very active and one of the original members of the Phi Delta Sorority. The family would like to express extreme gratitude to our sister, Elaine and her husband, Larry Webb for taking care of both mom and dad. Because of their help, our parents were able to remain in their own home for many years. For the past four years, Elaine and Larry opened their home to mom taking care of her there. Thank you is not enough! Alice no longer has to worry about “why she is still here.” May she find joy in reuniting with loved ones in the loving arms of our Lord. A Mass of Christian Burial will be held at St. John the Evangelist Catholic Church on Tuesday, October 16, 2018, at 1:30 p.m. with memorial visitation in church beginning at 12:00. Burial will follow in St. John’s Cemetery. Her grandson, Fr. Ryan Schmit, will be officiating. Memorial contributions may be made to St. John’s Parish Foundation or Bridge Home Health and Hospice.